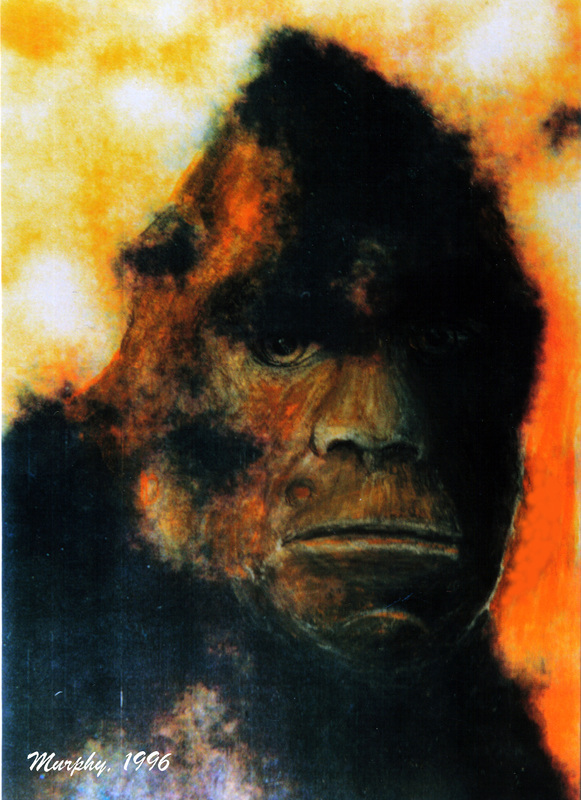 Patterson/Gimlin Film Gallery - Sasquatch Canada contains current and authoritative information on sasquatch and other homins. enlarged. Its breasts indicate that it was female. 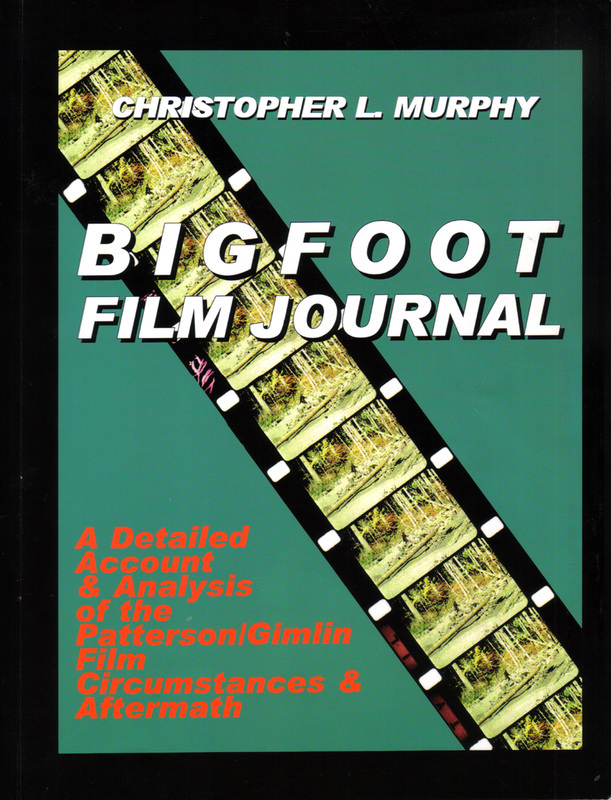 The complete history of the Patterson/Gimlin film which shows an alleged sasquatch has been documented in my book "Bigfoot Film Journal." This book is available as a free e-book in the Hancock House Publishers section. 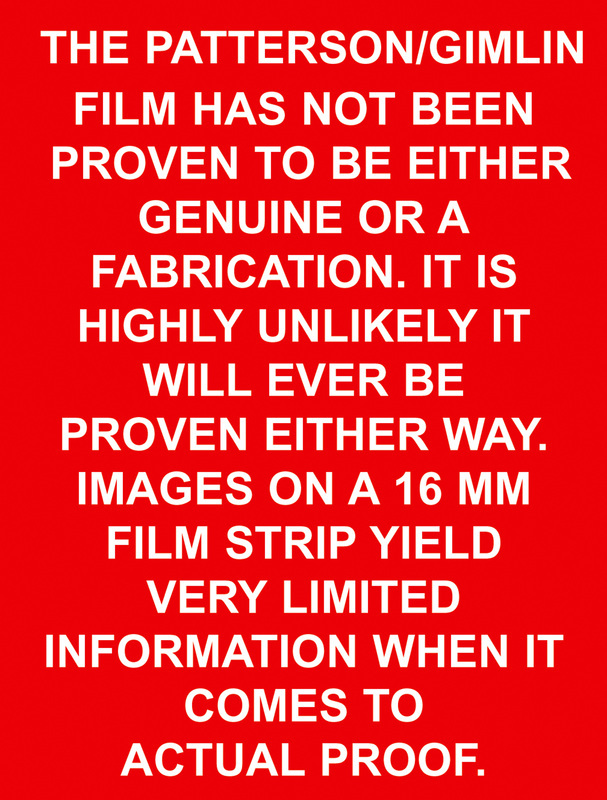 What is provided in this presentation is a simple summary of the film. The film was taken by Roger Patterson (left). 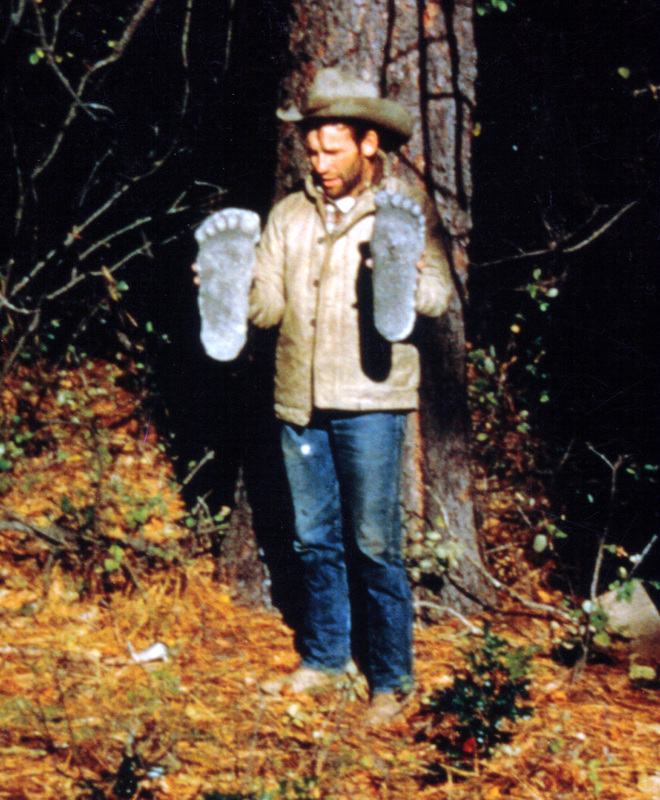 He was accompanied by Bob Gimlin (right). 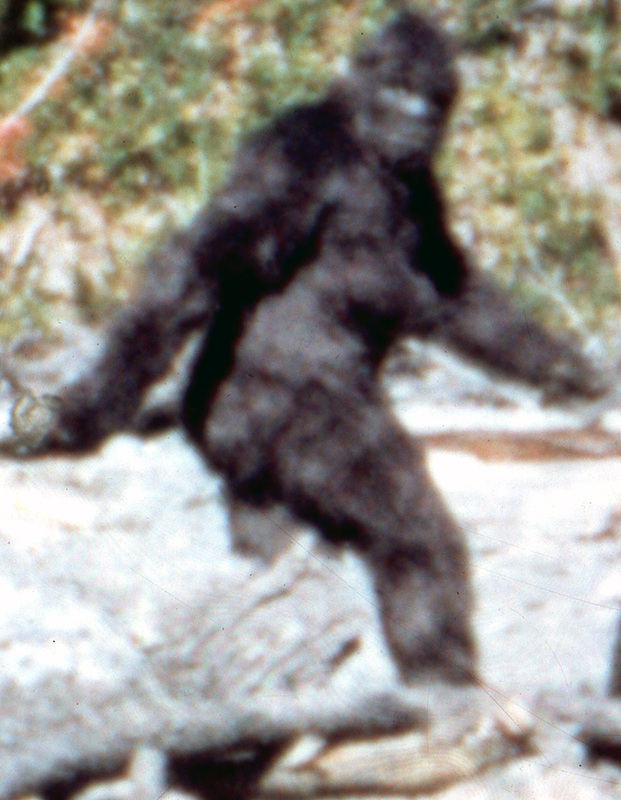 It was taken on October 20, 1967 along Bluff Creek in Northern California. 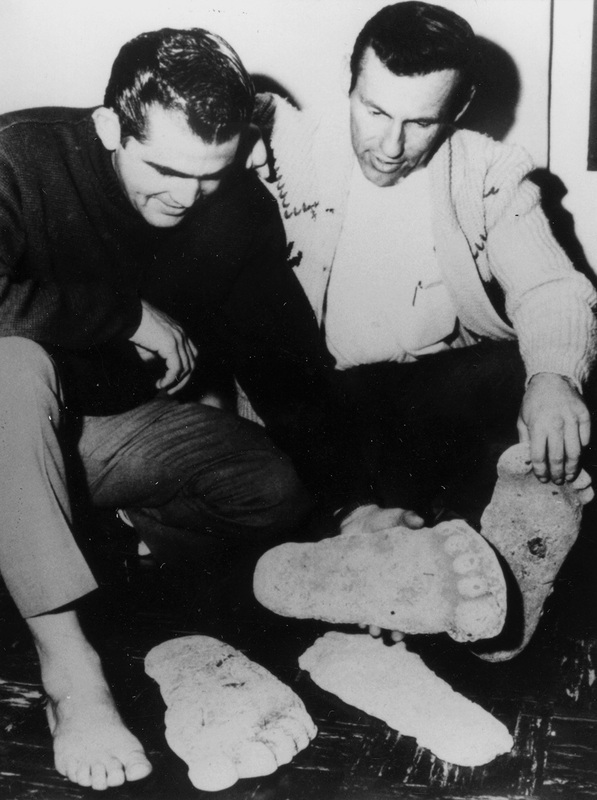 In this photograph, the men are holding plaster casts of footprints left by the creature. The other two casts are not related to the film. wtth a red map pin. A few frames of a copy of the 16 mm film taken by Patterson at about actual size. The height of the creature is about 1.2 mm. intensive study of the film. 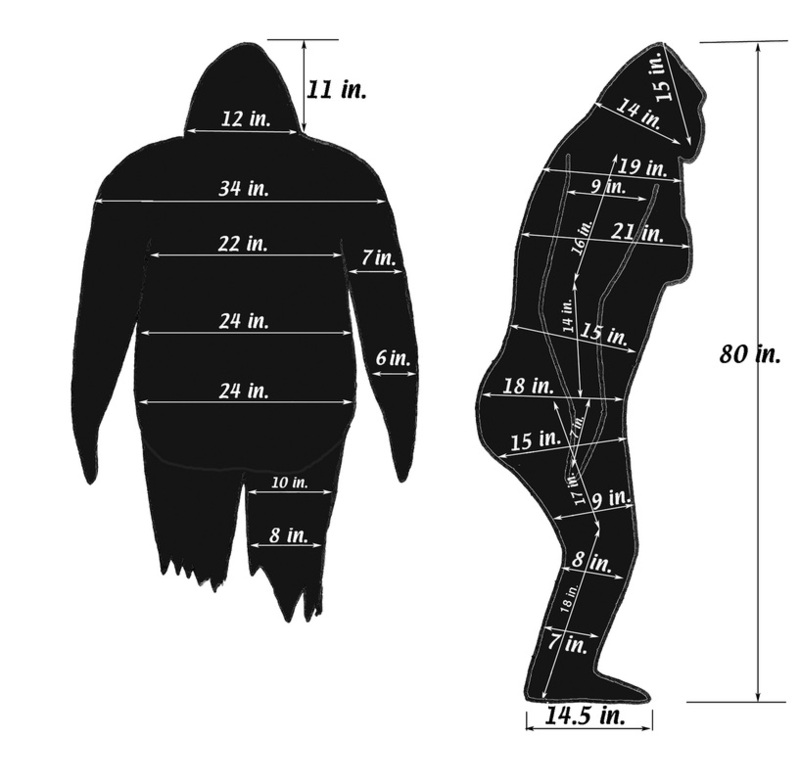 However, subsequent analysis by others indicates that the creature was likely 87.5 inches tall (about 9% taller that what is shown here). 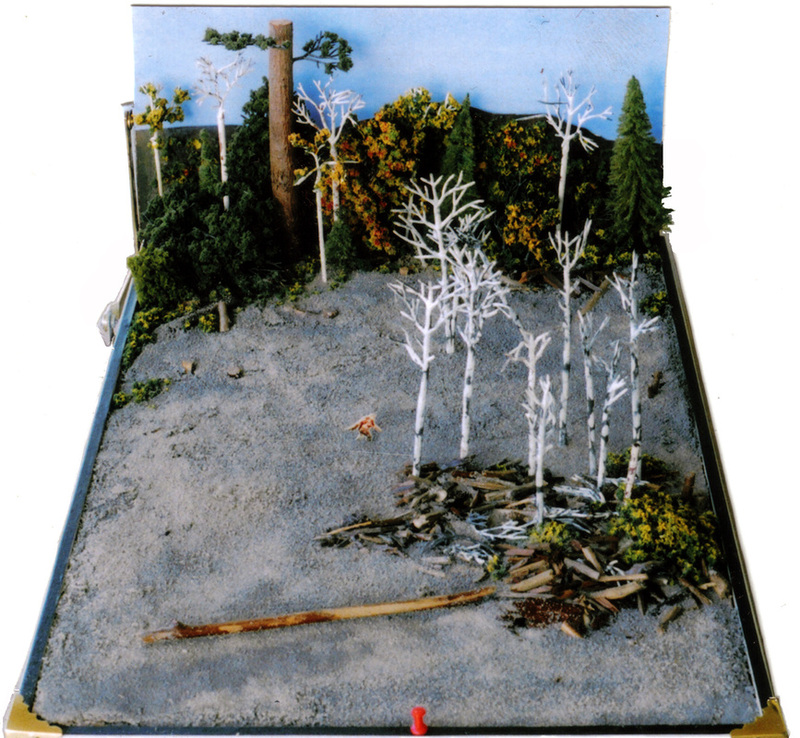 After the filming, Roger Patterson made plaster casts of the left and right footprints left by the creature along the gravel sandbar. He is seen here holding the casts. That he provided both a film and casts is highly noteworthy. All images in this presentation are from the Murphy/Hancock Photo Library or other restricted sources and are under copyright where applicable. Please contact <sales@hancockhouse.com> for details on usage.